We don’t ask for a financial contribution to join our Movement because we are looking for organizations to Take Action! We ask that you recognize the severity of the challenges facing your organization today and make a Commitment to solving the issues at hand by eagerly contributing to enduring solutions. Rather than directly implementing projects, the Patient Safety Movement facilitates action by helping committed organizations connect, collaborate and make effective and measurable Commitments to Action. A commitment expedites action through accountability and shared learning. Specifically, we ask you to implement at least one of the Actionable Patient Safety Solutions (APSS), developed collaboratively by the Patient Safety Movement and other healthcare leaders, or develop your own commitment to a different challenge. New commitments are highlighted at our annual Summit and organizations that make a commitment are offered special access and savings at the event. Proactive healthcare organizations dedicated to improving patient safety at their institutions set the stage for action at our annual Summits by establishing their own Commitments. Below are their actionable commitments to reduce preventable patient harm and death within their own organizations. Cdiff per AA, adverse events from antibiotics, resistance rates of VRE, MRSA, ESBL, carbapenem resistance, etc. Development of a incident reporting system for notification and analysis of adverse events associated with medical care. The Scottish Patient Safety Programme (SPSP) is a unique national initiative that aims to improve the safety and reliability of healthcare and reduce harm, whenever care is delivered. UPMC System Infection Control Committee members and multidisciplinary representatives from each UPMC facility. Preventing neonate/infant mortality by the reduction or elimination of elective deliveries greater than or equal to 37 but less than 39 weeks gestational age unless medically indicated for the health and safety of the mother or fetus. The enhancement of adverse events report in the Automated Health Incident Registry System (SIRAIS) platform. Organization Name: Coscami S.A. de C.V. 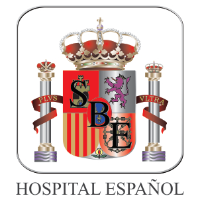 Position: Director General Hospital Intermedica, Medica Ideas S.A. de C.V.